After the smooth and on-time arrival at Amsterdam Airport Schiphol. After meeting with Matej we checked in at our hotel “Golden Tulip Inntel” and guess what: They have free wireless Internet Access in the Hotel … just everywhere. 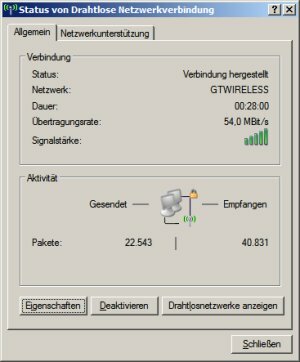 Finest 54Mbit … and it’s 54 Mbit… whoooo!